Last Sunday (May 11) was Mother’s Day. Here in the US, we celebrate Mom’s of all types, persuasions and demeanor. Max is celebrating his Grandmeow. She asked for more jammies, and jammies she’s received. Grandmeow also has a thing for butterflies. She has milkweed in her yard, and the monarchs munch away in preparation for transforming from caterpillars to butterflies. 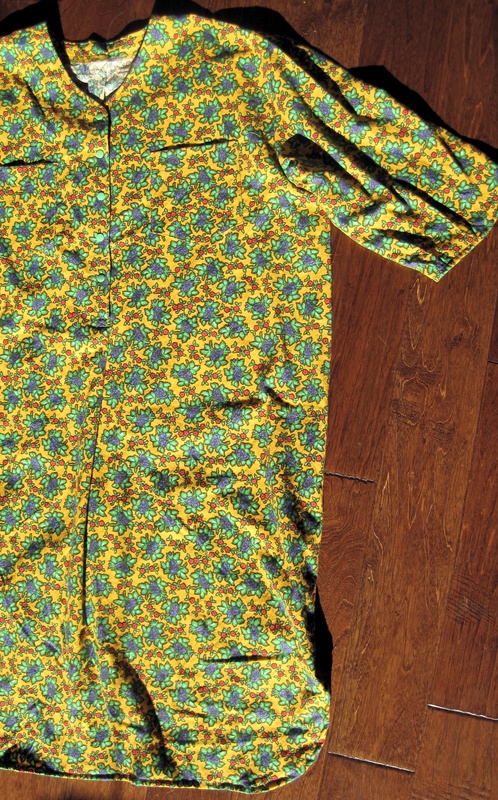 A short sleeved, cotton version of my tried and true pattern. It will be just the thing for warmer weather. Thankfully, Grandmeow doesn’t mind a little cat fur. Max gives these jammies 4 paws down! Grandmeow asked for more flannel jammies as her holiday gift. There was fabric in stash, but somehow took forever to get to. No idea why. Another rendition of Butterick 6885. This one is very similar to the others I made that were Max approved. A nice comfy flannel, pockets for a tissue or two and snaps up the front. 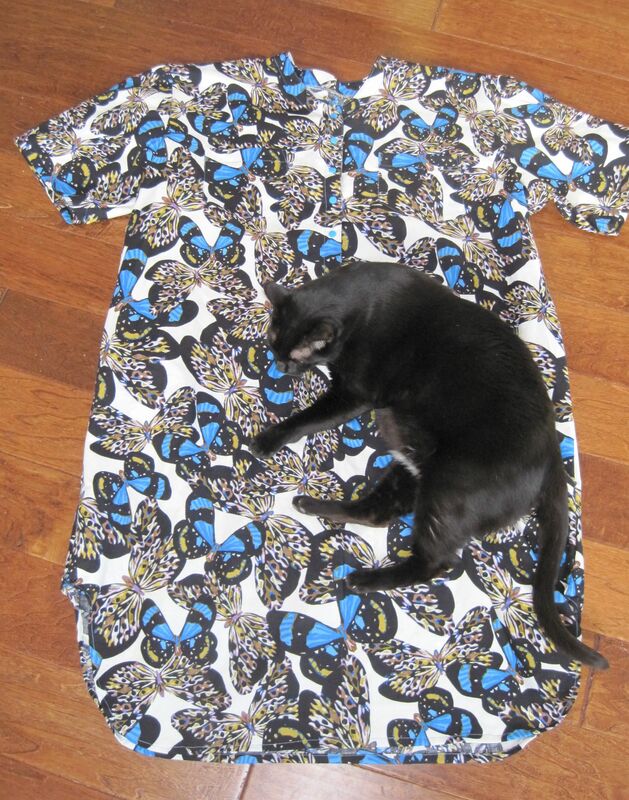 I took a page from Louise Cutting, and joined the front and back facings at the shoulder seam before cutting. This eliminated some bulk, as well as making for an easier sew. Note to self: tape those pieces together permanently. There is a second one completed, but no photo of it. A bright green with butterflies, which is now fluttering it’s way southwards, over the river and through the woods to Grandmeow’s house. This yellow one is being held hostage in the guest bedroom closet, waiting for her to visit. I believe that’s called incentive. This is my take on the Style Arc pattern, Laura. 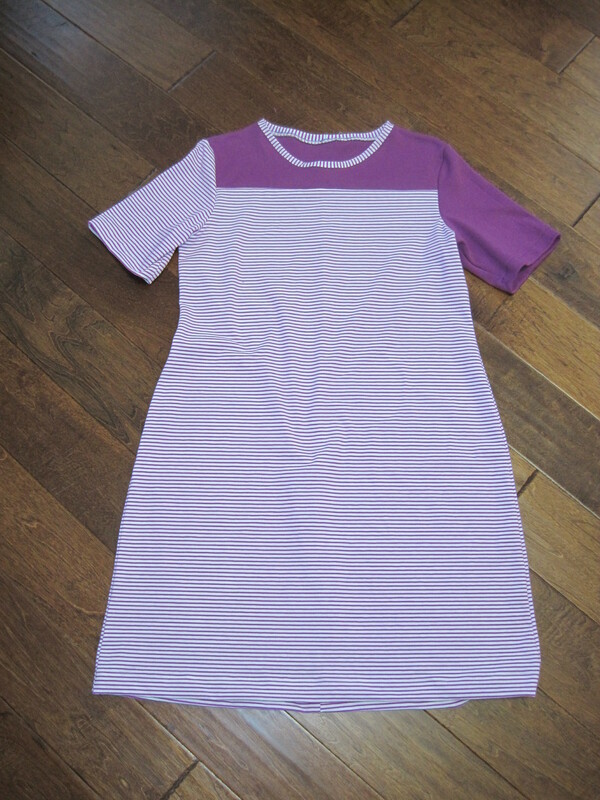 A fitting muslin, out of the last of the vibrating purple stripe fabric. With color blocking. I am surprised at how well it turned out. Except for my usual forward shoulder adjustment, there were no changes to the pattern. Everything went together über easily. Style Arc is a pattern company out of Australia. They come in one size, tending to be much closer to ready to wear. The company is also very helpful when it comes to translating your size (in US inches) to their size (in centimeters). The patterns come printed on heavy paper, and look to be hand drafted. I like ’em. They feel substantial. Anyway, back to Laura. Technically it’s a dress, but in my life, it will probably become pajamas. I just don’t see myself swishing about outside the house in a white dress…even with stripes that make your vision vibrate, that’s asking for trouble. That said, there is some other fabric on the table waiting to turn into Laura…and that is suitable for public consumption.